Leather Cover 3 in x 5 in Like a wallet for your notebook, the black full grain leather covers fit one notebook each. This cover fits all 3 in x 5 in top spiral notebooks. 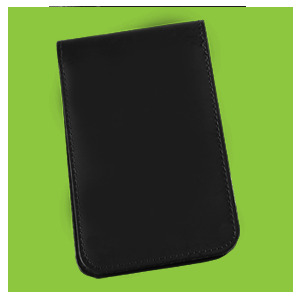 The leather is strong and sturdy, yet flexible enough for your pocket.